Abuja-Constitutional Lawyer and Human Rights Activist, Chief Mike Ozekhome has described the 57th independence day anniversary speech given by President Muhammadu Buhari on Sunday, October 1, as not only un-presidential but un-reconciliatory. The Senior Advocate of Nigeria said the speech clearly showed Buhari’s disdain and fixated hatred for the Igbos when he lambasted the entire South East leaders for allowing the agitation of a people feeling seriously marginalized and oppressed. 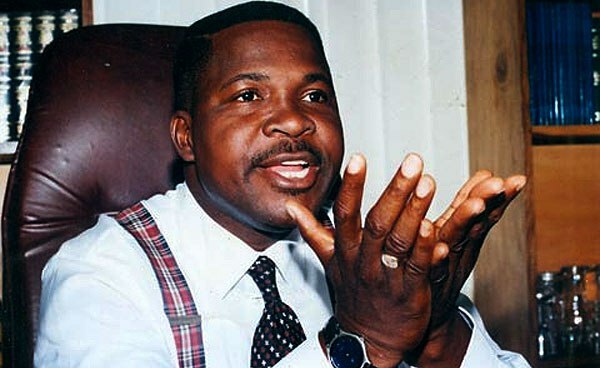 Furthermore, Ozekhome wondered how Buhari could see nothing wrong in the murderous and rampaging activities of herdsmen across the country as well as the illegal authorization by Arewa youths to Nigerians to quit Northern Nigeria without any repercussion against them. In a statement he signed last night, entitled ‘President Muhammadu Buhari’s National Day Broadcast: Yet Another Golden Opportunity Lost’, Ozekhome said, “The entire national day broadcast by PMB on the occasion of Nigeria’s 57th independence is quite disappointing in all ramifications”. “It was very un-presidential and un-reconciliatory. PMB left the real issues and pursued trifles”. “The speech was bereft of nobility of statesmanship, and devoid of a calm grasp and appraisals of the dire straits Nigeria is currently in”. “The broadcast was rabidly narcissist, parochial, nepotic and clannish, as it failed to see anything wrong with the blatant and well reported threats by the Arewa youths to quit fellow Nigerians from their domains”. “The speech followed his now well worn out fixation of perceived hatred for the Igbo race, whose leadership he needlessly scurilized and lampooned, for allegedly being behind IPOB and other agitations”. “I doubt and didn’t hear him mention anything about gun wielding herdsmen that literally vanquish citizens in their own homesteads across Nigeria”. “The President celebrated mediocrity and edified his government’s non-performance two and half years down the line”. Ozekhome continued, “I genuinely wondered if he was discussing the same country, Nigeria, that I am in, or another utopian planet Mars”. “The beautiful picture of a peaceful country he painted so glowingly and artistically with the paintbrush of breathless satisfaction is quite different from the stark reality on the ground, which every beleaguered Nigerian labours under”. “His speech writers either wallowed in utopian mystic of redemptive messianism, or in crass fraud and grand deception”. “But, Nigerians are no fools. Did I hear PMB say this is the first time a government at the Centre is losing the governorship, senatorial and Houses of Assembly’s elections to the opposite at the state level? “No sir, wrong. Whoever gave Mr. President this false electoral history has done him incalculable disservice and great damage and ridicule’. “Few examples: Remember Ondo state (Labour Party), Osun and Edo states (AC), Anambra (APGA), etc? “Not only did the ruling PDP party lose the elections to those opposition parties, the then President Goodluck Ebele Jonathan actually rolled out the drums and congratulated the new governors, Senators and House members”. “Peter Obi won the Anambra state governorship election in 2010 for the second time on the platform of APGA”. “Obasanjo was President at the Centre under the PDP party, just as Bola Tinubu won the Lagos state governorship seat twice under AD and ACN, with Obasanjo as president under PDP at the Centre”. “Buhari lost yet another golden opportunity to balm bruised nationalities’ ego and cement Nigeria’s yawning cleavages, hate and divisiveness”.